This month is our club Election Night and Pizza Party. We will have a general "Tie In" to kick off the cold fly tying season instead of a planned program, so bring your vise and tying materials! The club will provide pizza and drinks. We'll hold our yearly election for the club leadership later in the evening. We will also have a great raffle with lots of fly fishing and fly tying prizes. The club is raffling a special item this month - a Caddis Float Tube, with air pump, fins, and carrying case! Show up and support the club... and eat some pizza...and win a cool raffle prize or two!!! The fly of the month for November is the classic Pheasant Tail Nymph. 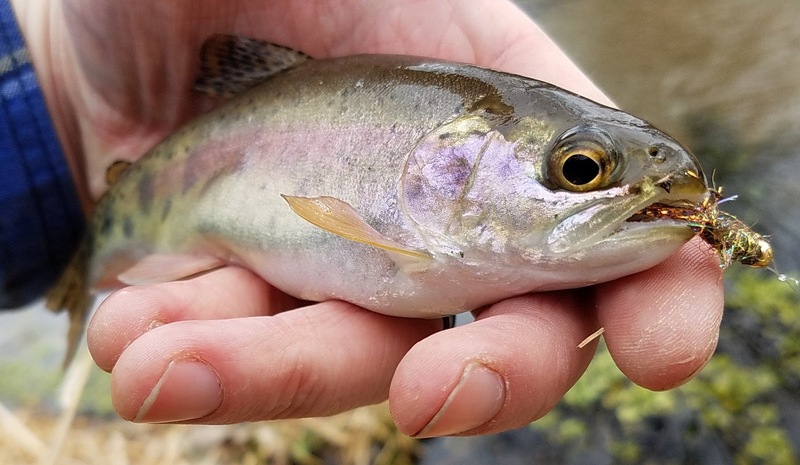 Head over to our Fly of the Month tab if you need more info. On Tuesday November 13th from 6-8pm, we'll have a Tie-In at Backwoods Omaha. It's B.Y.O.B. and a bunch of fun! They now have a great selection of fly tying materials in stock! The perfect event starts with an extraordinary location. Whether you are dreaming of a grand entrance on a mountaintop vineyard estate, or an intimate gathering of family and friends at a seaside villa, good managers, like those at these event venues Chicago are able to turn that dream into an extraordinary event.